Deep in the limestone hills to the north-west of Deir el Bahri is a remote valley. 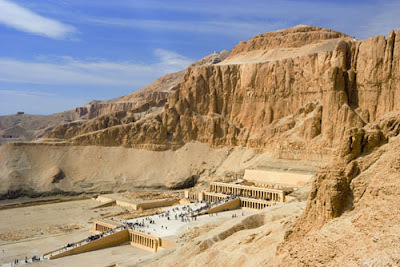 Here the pharaohs of the 18th, 19th and 20th Dynasties chose their eternal resting place. 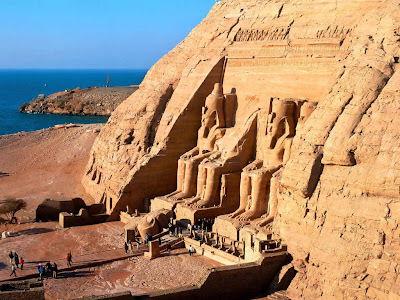 Thutmose I was the first pharaoh to excavate a tomb in the barren valley, and to construct his mortuary temple at the edge of the verdant valley. In this way, he believed, his cult could be continued while his resting place remained secret and safe from robbers. After the mummified bodies of the pharaohs had been laid to rest, the passages were sealed and covered with rock and rubble. With the entrances totally obscured, the New Kingdom pharaohs were confident that their tombs, unlike those of their ancestors, would be safe. They were mistaken. 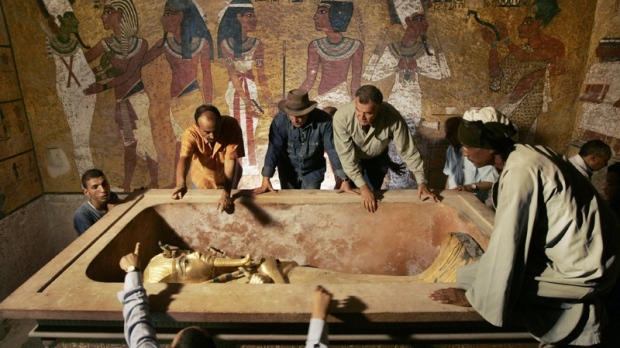 With the notable exception of the burial of Tutankhamon all were broken into and robbed of their treasures. The huge stone lids of the sarcophagi were thrust aside, or hammered off. The inner coffins were removed. The mummies of the pharaohs were stripped of their adornments and cast aside, sometimes actually burnt, by the robbers. In an attempt to protect the bodies of their great ancestors, the priests of the 21st Dynasty placed them in a twelve-metre deep shaft, which was probably a Middle Kingdom tomb, in one of the caves at the foot of the cliffs at Deir el Bahri; that is to say, on the other side of the mountain that separates the Valley of the Kings from Deir el Bahri. Into this shaft they placed no less than forty mummies of the 18th and 19th Dynasties, which they had collected from pillaged tombs. 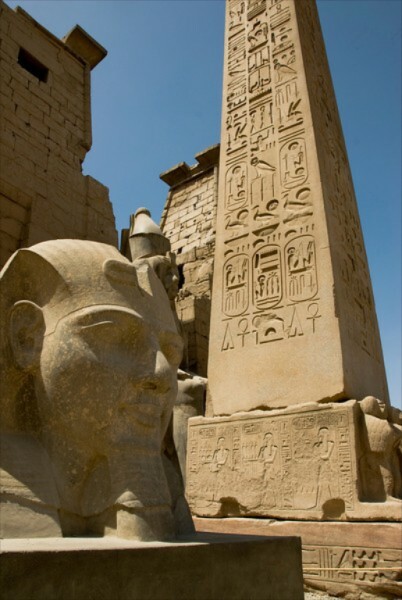 The bodies of Amenhotep I, Thutmose III, Seti I, Ramses II and Ramses III were among them. Other mummies were hidden in already violated tombs, such as that of Amenhotep II (page 91), which was then resealed. The shaft at Deir el Bahri was discovered in 1881, and the mummies in the tomb of Amenhotep II in 1898. All were taken from one place to another, until they were settled on the upper floor of the Cairo Museum of Antiquities. The actual tomb design was relatively uniform, differing only in length and number of chambers. They usually comprised three corridors, one following the other, sloping deeper and deeper into the bedrock. A shaft at the end of the first corridor, sometimes dropping to a depth of over six metres, was a feature of several tombs; perhaps it was designed to discourage robbers who, despite all effort at concealment, had located the doorway, or for drainage of rainfall. At the end of the third corridor there was usually a door leading to an ante-chamber, and the tomb chamber lay beyond this. Its roof was often supported by pillars and the sarcophagus was placed either at the centre or to the rear.